How Far is Ace City? 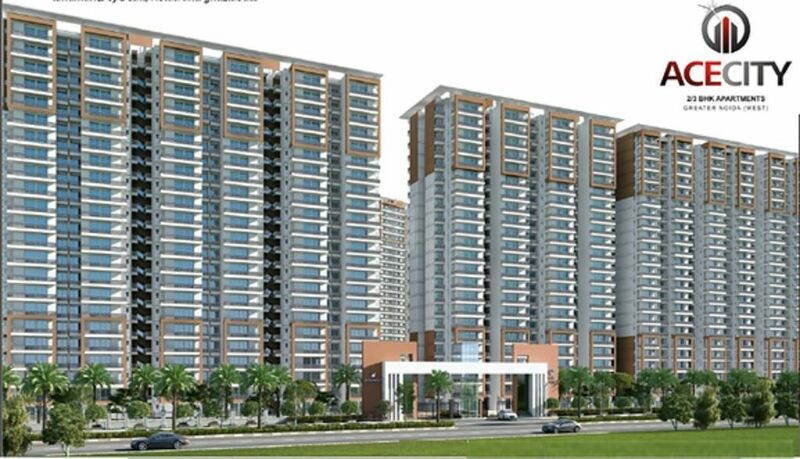 Ace city is a prominent residential property in the heart of Greater Noida, located in the posh area of Sector1. The project features quality amenities for the convenience of the residents and has 2 basement floors as a part of all its towers. Ace city comes with an affordable price list and vastu friendly homes offering beautifully crafted 2BHK, 2.5BHK and 3BHK apartments. It also offers commercial complex as a part of this integrated township, which is developed by Ace Group. ACE Group India is one of the top reputed builders in Noida, who has always been creative, innovative and imaginative in the front of the real estate developments in Delhi NCR region. The group is very well known for its world class projects and professionalism in delivering all the projects on a timely basis and with top quality products. Our primary business is the development of residential and commercial projects that consists of modern standards. They give consistent high performance and a strong commitment to maintain quality standards and customer service. Today ACE Group has become reputed builder in Noida which is synonymous with quality, style, luxury, comfort, space, innovation and is delivering a wide range of luxurious projects through its innovative construction method, best quality materials, services and modern designs. Best Real Estate Builders in Greater Noida West. He is a man of exemplary vision and enterprise, having proven the competency and capabilities of the residential and commercial field. He has close to 8 years of experience in real estate and property development. Today, the ACE Group, under his leadership and guidance, has achieved a successful path in real estate development. It is under Mr. Ajay Kumar’s mentorship that ACE GROUP has emerged as one of the foremost real estate developers, with 80 Lakhs sq ft.(743224 Sq. Mts.) of projects executed and another 60 Lakhs Sq. ft.(557418 Sq. Mts.) under various stages of development in Noida and Greater Noida. Also constructing approx. 5 million Sq. Ft. area with Godrej Properties Limited as Joint Venture in Greater Noida. His undying passion for scaling heights and setting even higher standards have resulted in the GROUP gaining a strong brand equity, with a reputation for consistently developing landmark projects. As a CMD of the GROUP, Mr. Ajay Kumar has inspired his team to do the same and continues to motivate them by lending his expertise in charting out a robust growth strategy for all the Group Companies. Mr. Ajay Kumar is a passionate philanthropist, who focuses on community engagement. To aim to exceed the expectations of our customers by providing quality constructions with the highest standards of professionalism, ethics, quality, sustainability and customer service. To deliver projects on timely manner while upholding sustained efforts to enhance customer value and quality by maintaining the utmost degree of professionalism and ethics. To become one of the premier and trusted players in real estate in India by becoming a complete real estate solution provider in the real estate industry. To maintain consistency and work towards the growth and excellence in innovation, with continual improvement in quality. To work towards becoming a fully integrated, professionally managed real estate group and assign our own benchmark in the real estate sector of constructing residential projects. To be a valuable real estate group that constructs world class real estate developments. To contribute outstandingly in building the new modern community and creating greater value for our customers, for a good relationship on the foundation of commitment, trust and integrity. To be the fastest growing real estate developers and emerge as the most preferred real estate group in India. To set higher quality standards with future requirements and expectations for each new project. To make each project synonym with Quality, to surpass the expectations of our customers, like we have done by becoming most reputed builder in sector 150 Noida.